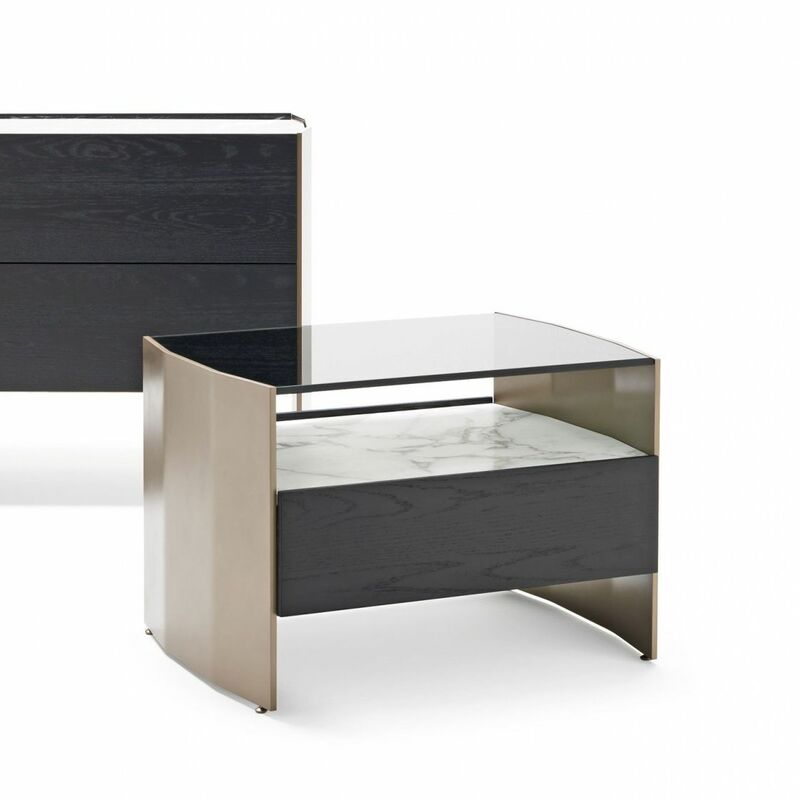 The Milvian set for the sleeping area, which consists of bedside tables in two different sizes and a dresser, boasts sublime features with a sophisticated style. An original fusion of exclusive designs and exquisite construction details, the structure which comes in oak is framed by shaped shoulders that continue down to the ground, transforming into graceful feet. The aesthetic, which is enhanced by the fine wooden top available in numerous finishes, does not undermine its functionality: the version with a drawer and compartment resembles the version with the fixed front, which is perfect for two-sided use. 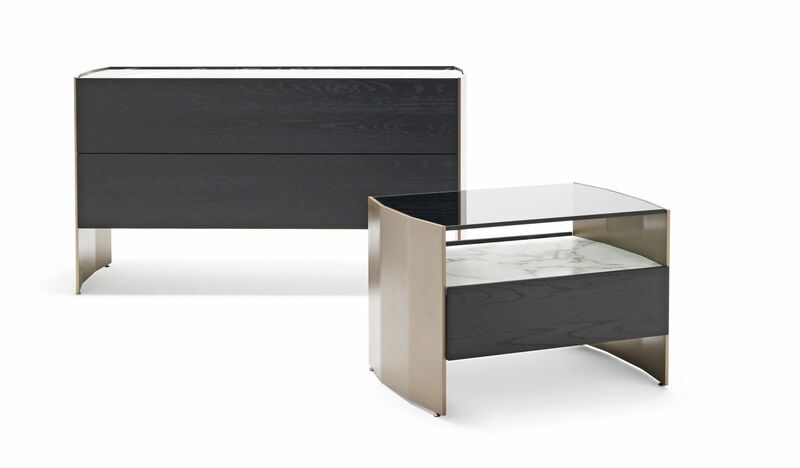 A tasteful balance and a coordinated bond for the sleeping area.